Destinations are beginning to realize that there can be no destination branding without residents and that improved collaboration with their community is one of today’s key challenges. If you could harness the stories your locals are telling about your destination and its brand, what would that look like? 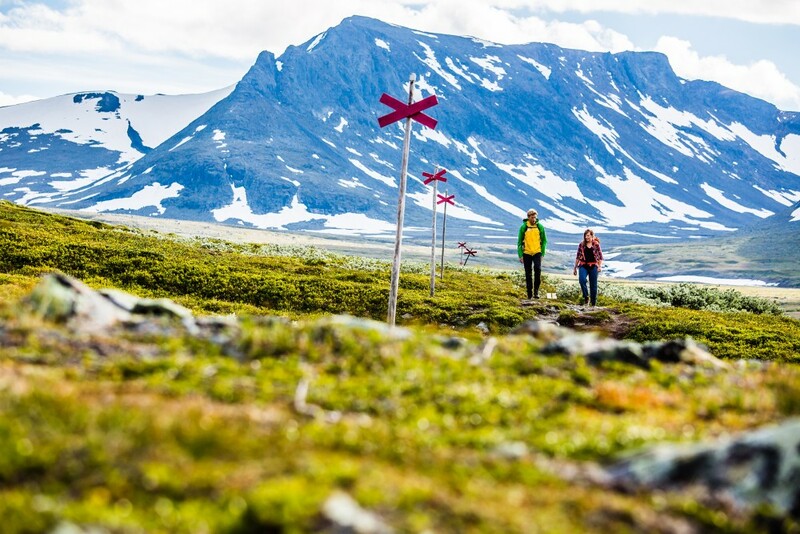 Destination marketers and members of the Swedish Tourist Association (Svenska Turistföreningen, or STF) recently took a bold risk to find out. They wanted potential visitors to get the real story about Sweden straight from its residents. They made themselves “the first country in the world with its own phone number” during their 2016 “Call a Random Swede” campaign. The phone number gave the world a direct and transparent link to speak with Swedish locals – the real people who bring their communities to life. As part of our Leading Thinkers series (featuring the insights of those who participated in discussions at Destination Think! Forum 2016 , we asked Magnus Ling, CEO of the Swedish Tourist Association, to explain why STF decided to give control of their tourism brand over to their residents. Destination Think! : Your recent “Call a Random Swede” campaign that invited people from around the world to call Sweden’s residents has piqued global interest. Can you describe how the campaign was developed and the results you’ve seen so far? Magnus Ling: In troubled times, many countries try and limit communication between people, but we wanted to do just the opposite, giving our members and other fellow Swedes the opportunity to describe Sweden, express themselves and share their views, whatever they might be. We wanted to show the real Sweden – a unique country worth visiting with the right of public access, sustainable tourism, and a rich cultural heritage. Who could describe Sweden better than Swedes themselves? The campaign ran from April 6 to June 25, 2016 and the results were overwhelming. We have had almost 30,000 ambassadors taking 182,000 calls from 186 countries, with a total “talking time” of 367 days. The media interest has been enormous, with publicity all over the world and in all major channels, newspapers, radio and TV. It has been a success on social media and our app was the most-downloaded in Sweden for a long period. Strategically speaking, how did you come to the decision to give control of your destination’s brand and messaging over to its residents? We thought people were a bit bored from having commercial messages about a county created by PR agencies. Swedes themselves can give the most honest picture of their country. And we also knew that our members and many other Swedes had a vast knowledge about Sweden that they would be both willing and proud to give. So building pride in the country was also important. While it seems like Sweden’s residents value transparent communication, how has your membership and your stakeholders responded to this strategy? Were they nervous to hand over the reins to residents? How did you overcome any objections? We are ”owned” by our members (formally represented by our board) and all staff are members. We live by our values: Careful, Curious, Genuine, Professional and Caring. The campaign aligns very well with our values, but of course, there were concerns. These came mainly from external observers and media. My and our answer was always that this is no different from when people travel and have a chat about interesting topics. You will get many good discussions and certainly a few bad ones. But this is life. And each person in the call can always choose to close the call. The risk of having a less good call is also a natural thrill. Since residents who speak on Sweden’s behalf can truly talk about anything, how does Swedish Tourist Association link this resident-based campaign with the value of its tourism products? Tourism today is very much about taking part of everyday life in the country you visit or are interested in. We think that talking about anything you want is actually the best marketing possible. The real picture is the only one! As the sharing economy grows and more opportunities for crowdsourcing present themselves, how do you think collaborating with citizens, advocates and community will change in the future? We think sharing is essential and so much a part of our (STF’s) history and blood. We very much live for experiences and believe that sharing experiences makes them more valuable. We invite our members both to take part in the steering of our organization (the democratic process), be part of creating local experiences (we have local committees working together with the members living there) and we use our members as focus teams – testing out new ideas and concepts. We are very active on social media and are now aiming toward a virtual platform that will be a better forum for collaboration with members and stakeholders on a range of issues. How do you think Swedish Tourist Association will need to adapt as an organization in order to respond to these changes over the next 5 years? What is required for your DMO to remain a relevant and vital collaborator with your destination? We need to be even more inclusive. This means having a very open and effective way of communicating and collaborating with our members, guests, franchisees and people interested in visiting our facilities or becoming members. This means we need to change our way of working and also invest much more in both new technology and education. More and more, we are including our members and guests both in steering our product and concept development and as part of our marketing process. We help them facilitate their experience and adventure, and then give they help us market them through our platforms and channels, including social media.